Barbara Oddo is an industry veteran with over 30 years of commercial real estate experience in management services. She joined LPC in 2007 and in her current role as Vice President, Barbara oversees more than 600,000 square feet of office and retail space. Her portfolio includes LPC developments at Two Financial Center, a 220,000 square foot Class A tower located in the Financial District, and 320 & 333 Summer Street, renovated historic brick and beam buildings in Boston’s Seaport/Innovation District that house the world headquarters of LogMeIn. She is responsible for all financial and operational aspects of the portfolio including: annual budgeting and monthly financial reporting, tenant improvement work and long-term capital programs, tenant retention and coordination, supervising quality assurance in operations and maintenance, managing property personnel, and directing leasing staff. Barbara has been an active member of the CREW Network for more than 10 years, served on the Board of Directors of CREW Boston and was just appointed as the 2018-2019 President of CREW Boston. Her involvement in committee work at CREW Boston, from developing new ideas to engage more members to organizing the charitable golf tournament to raise awareness for the Educational Foundation, has helped propel the organization forward. 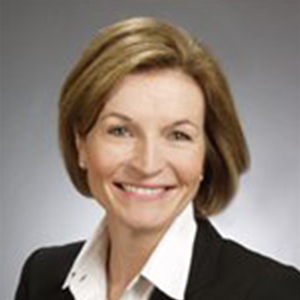 Barbara is also an active committee member of BOMA Boston, the NAIOP Property Management Steering Committee and Winchester Hospital Foundation – in addition to a number of civic organizations in her hometown of Winchester, MA and Boston. Early in her career, Barbara worked on commercial, industrial and residential portfolios at The Codman Company before moving to Equity Office Properties where she managed Class A office space in the Burlington/Route 128 suburban market. She is a graduate of Saint Anselm College in Manchester, NH.